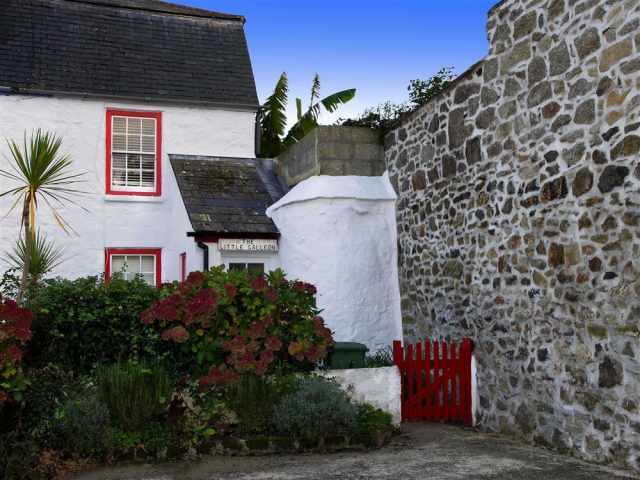 This property is one of our super pet friendly properties and welcomes two small or medium size dogs. A 3rd small dog may be considered if the property is not fully occupied by humans. 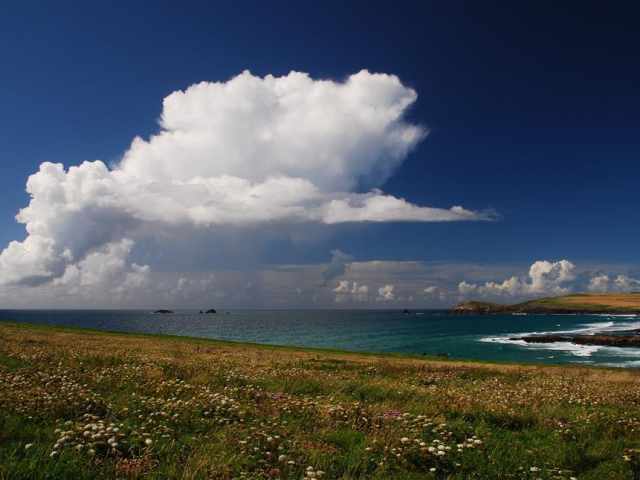 Under occupancy discount available on selected off peakweeks, please call us! 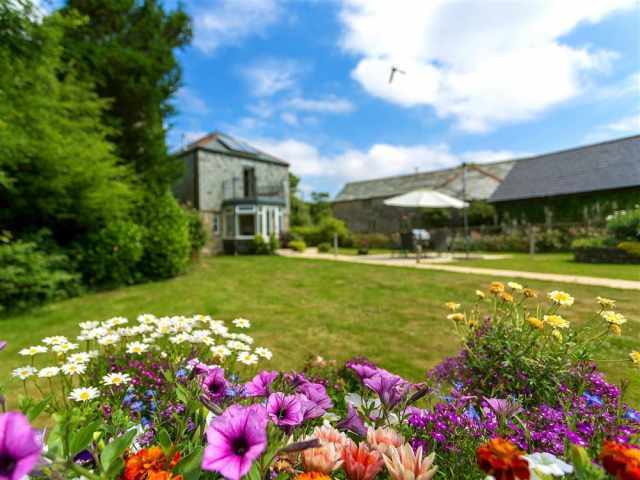 A multi award winning, eco-friendly and quite simply stunning property set in a quiet rural location not too far from Padstow, the Old Barn Tregonetha is true luxury self-catering. 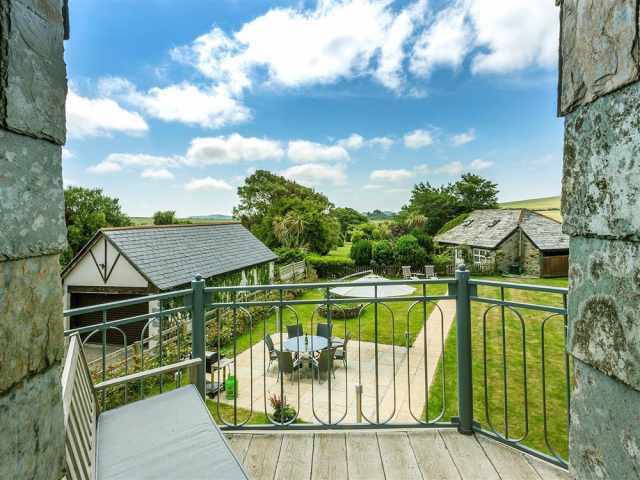 Included in your rental are a number of extra touches including bath robes and toiletries, freshly cut flowers, logs, kindling and a hamper of Cornish goodies! 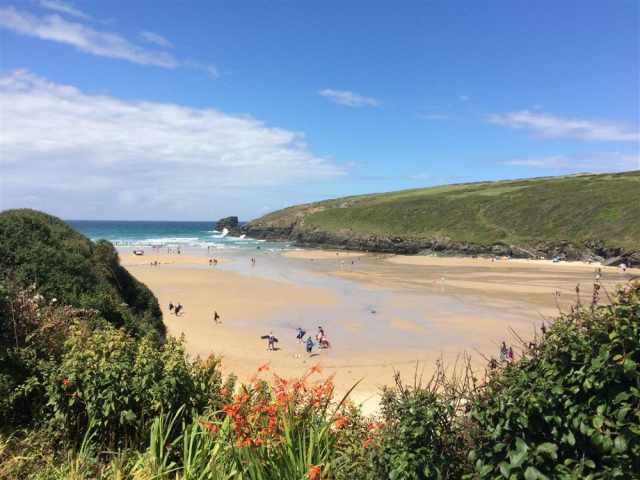 The bonus of choosing Tregonetha as your holiday base is that many of the County's most popular visitor attactions and destinations are so easily accessible. 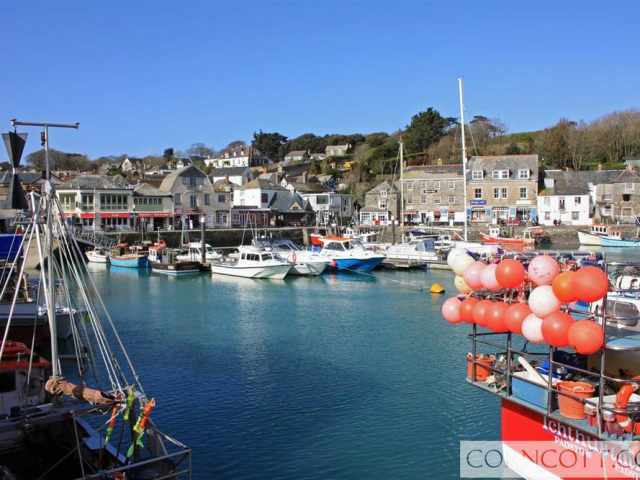 The towns of Wadebridge and Padstow are less than 10 miles away as well as the fabulous North Cornwall beaches at Treyarnon Bay and Porthcothan. 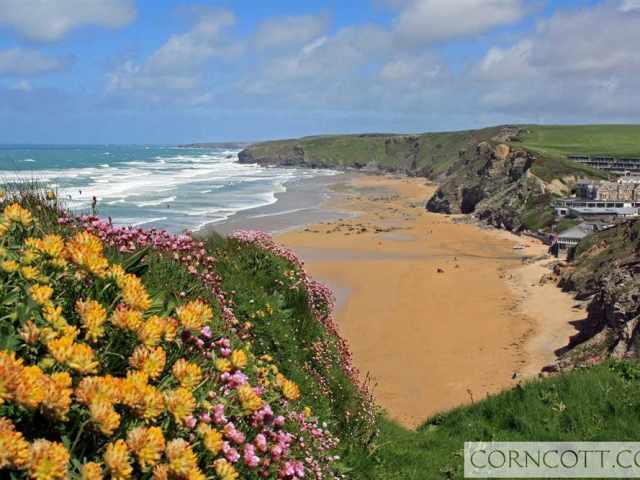 Dog friendly beaches at Watergate Bay and Fistral both on the outskirts of Newquay are less than 30 minutes drive from Tregonetha. 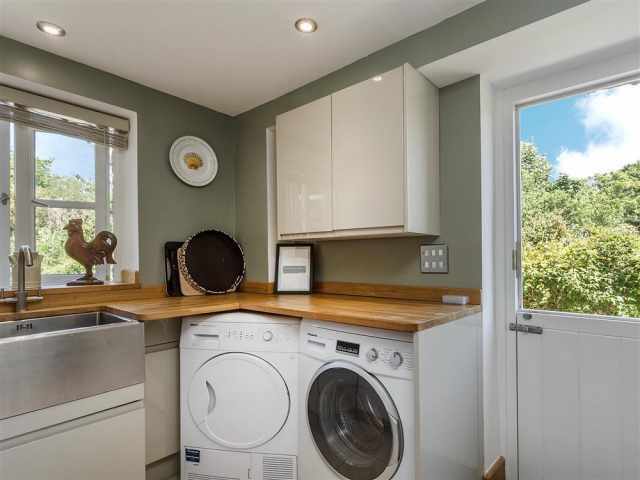 The property is entered via the useful boot/utility room with Belfast sink and is where the laundry equipment is housed. 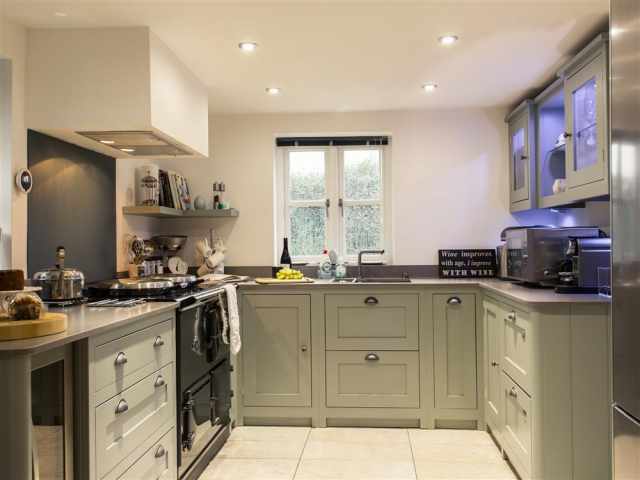 Off the utility room is the very well-equipped hi-spec kitchen with state of the art electric Aga, double dishwasher and multi-function microwave oven just some of the quality appliances found at the Old Barn. 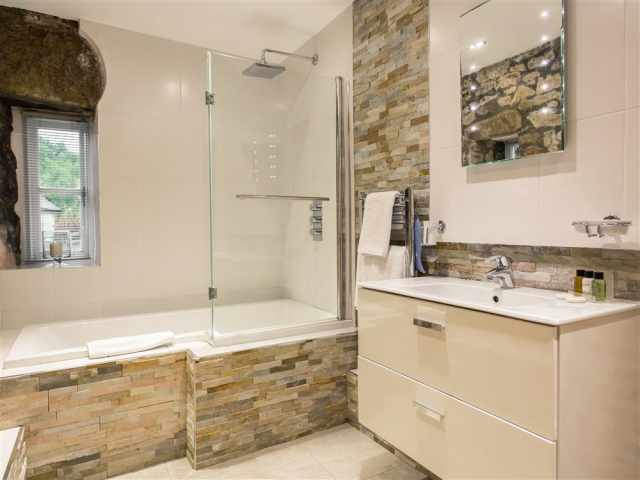 An attractive dining area with exposed stonework and high quality artwork leads off the kitchen with one step down. 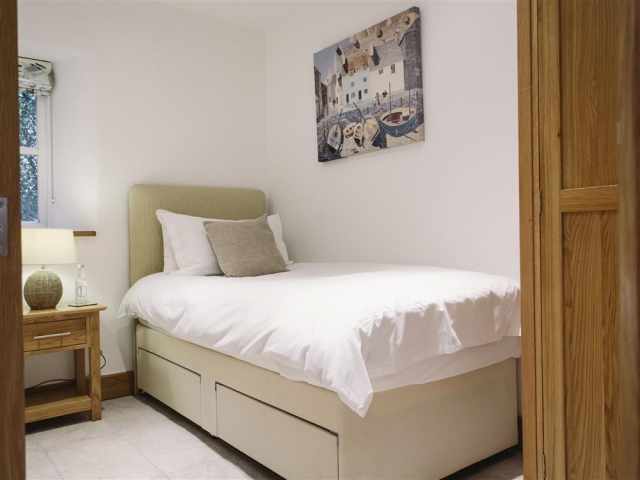 Staying on the ground floor you will find a king size double bedroom and single bedroom. A small sun room to enjoy a morning coffee leads off the king bedroom and looks out onto the enclosed lawn garden. 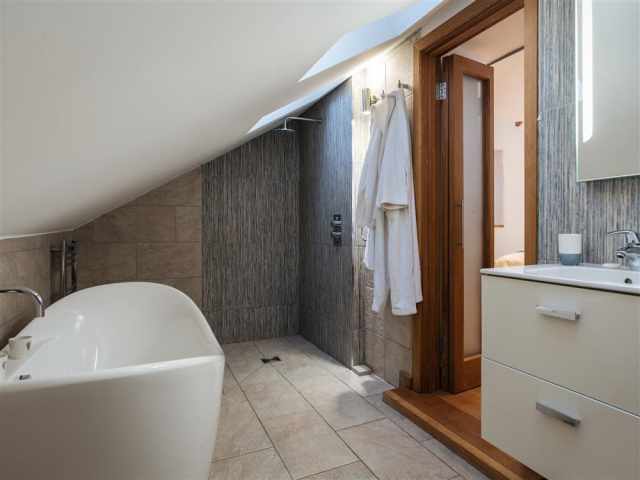 A family bathroom WC (lovingly known by the owners as 'The Cave' due to the contrasting Cornish stonework and contemporary sanitary ware) provides a generous size bath with rain head shower over and large hand wash basin. 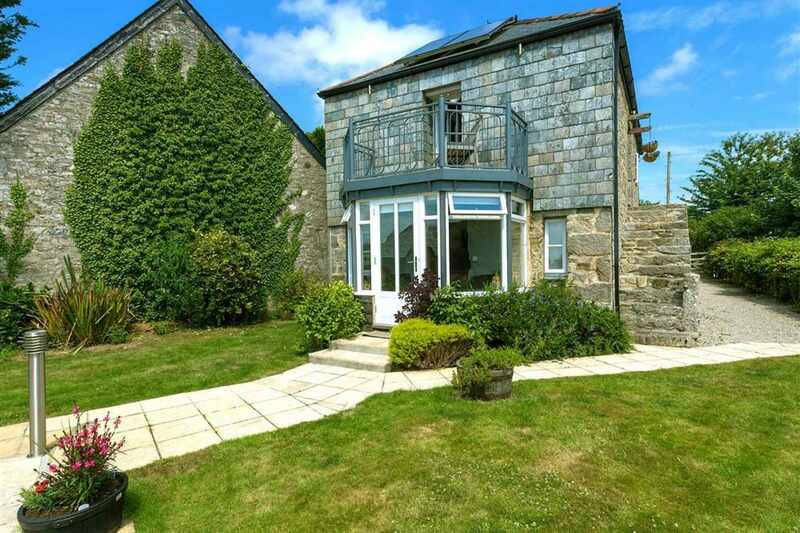 A gorgeous oak and glass staircase with LED lighting leads up to the first floor where the sitting room with vaulted ceiling, feature wood burner and ample comfortable easy seating can be found. 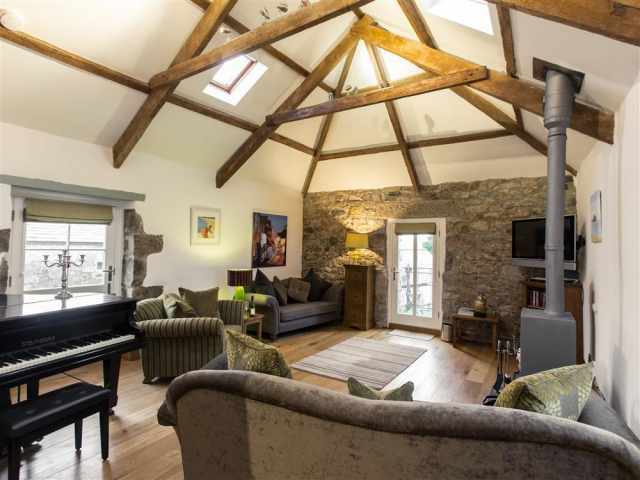 The vaulted ceiling of the first floor sitting room creates a large open space for accomplished pianists to play the regularly tuned quality piano. (Please note that the piano will be locked unless its use is requested in advance by musicians wishing to play). 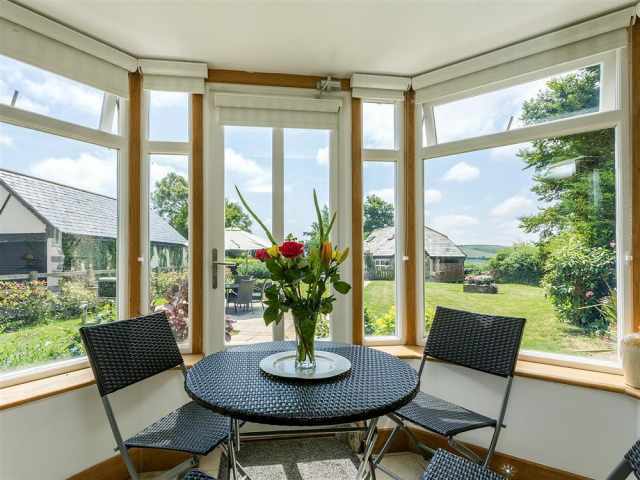 A door from the sitting room leads out onto a small south facing balcony to enjoy the sunny position and take in the glorious country views! 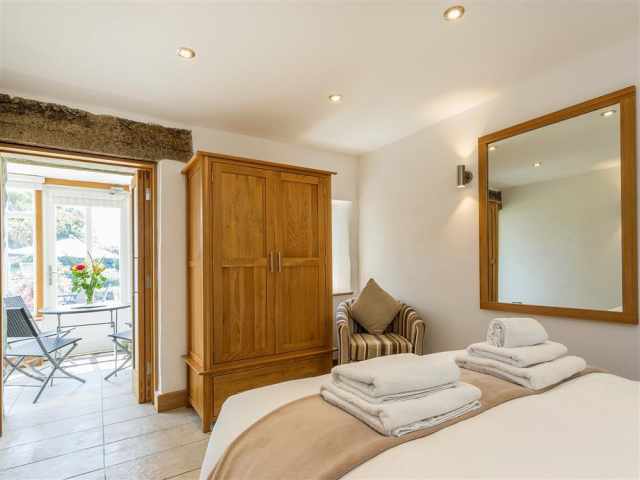 Off the living area is the second king size bedroom with stunning bathroom and shower ensuite. 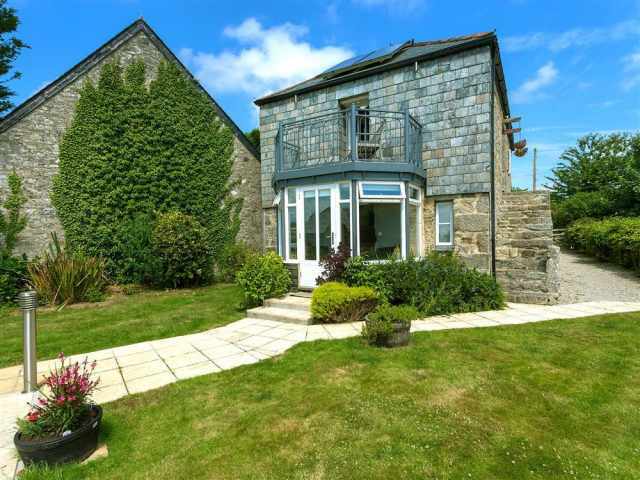 The Eco friendly property is underfloor heated throughout courtesy of ground source heating with endless solar thermal heated hot water. The enclosed, pet safe garden will be a welcome outside space to enjoy alfresco dining with solid granite table and chairs along with patio and modern gas BBQ. The patio has lighting extending your outside evenings on warm nights. There is ample parking for up to three cars. The electrical vehicle charging point is a TESLA - type 2. 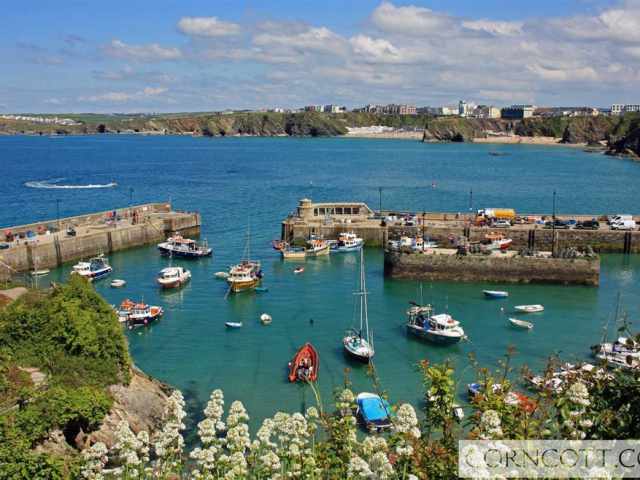 -This property is one of our super pet friendly properties and welcomes two small or medium size dogs. A 3rd small dog may be considered if the property is not fully occupied by humans. -Under occupancy discount available on selected weeks, please call us!